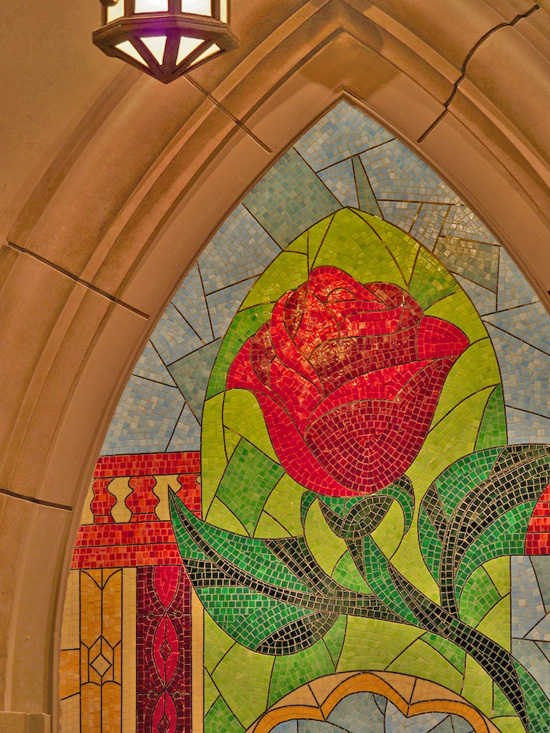 One important part in Beauty and the Beast is the enchanted rose and imagineers didn't forget that. 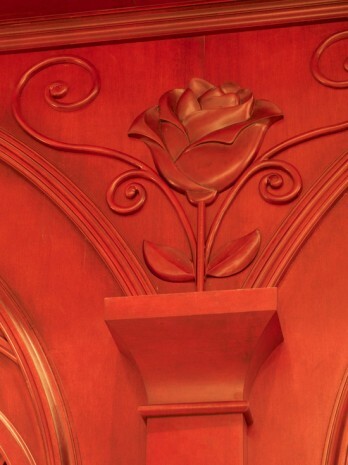 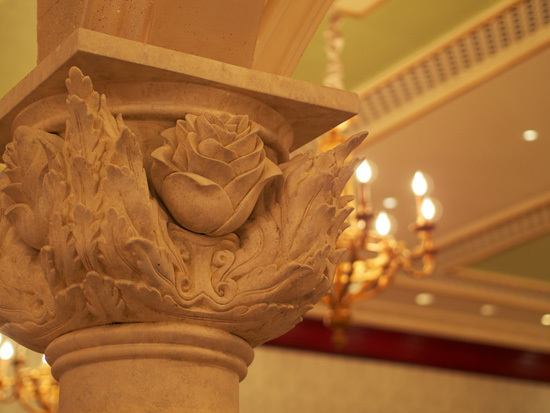 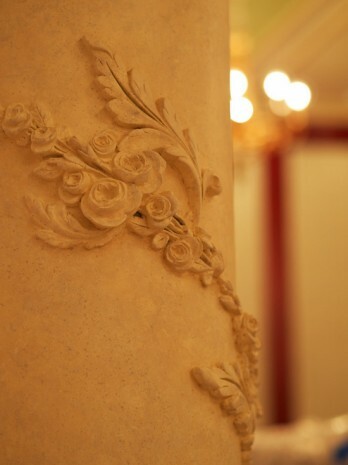 The rose is featured throughout the restaurant. 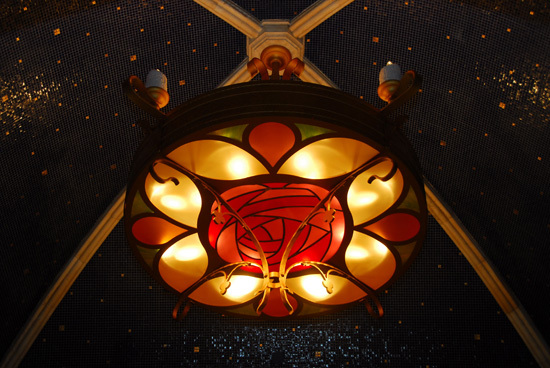 Disney Parks Blog already shared the one that will be in the floor as you enter the restaurant but these are some others to be on the look out for. 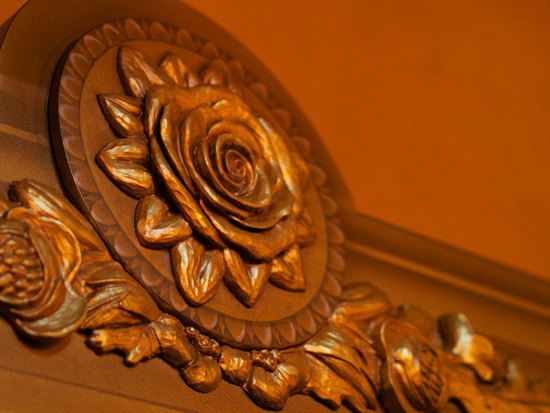 These are just some of the beautiful details that Disney has shared. 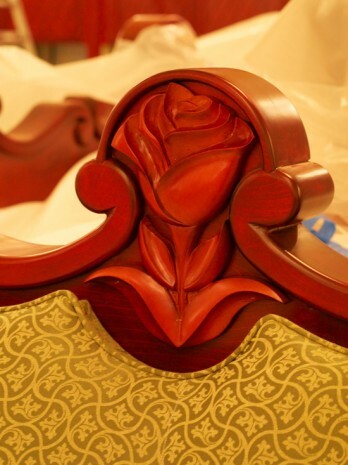 At D23 last year I asked the imagineers whether or not there would be an enchanted rose like in the movie and they couldn't share that information. 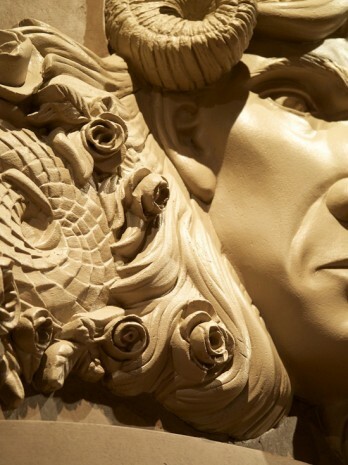 So I'm still waiting to see if that will be featured somewhere in the restaurant.